KC Wolf may be big with his 85 inch hips, but bad, not a chance. Everyone loves this wolf, including Little Red Riding Hood. Since his introduction to Chiefs fans in 1989, KC Wolf has quickly become one of the most entertaining mascots in professional sports. Whether he's dancing, imitating Elvis, or performing one of his hilarious routines, audiences everywhere are guaranteed lots of laughs and smiles. KC Wolf brings energy and enthusiasm to sports competitions, charity events, parties, conventions, or any event that brings people together for fun and excitement.  KC Wolf has entertained fans of all ages with appearances at football stadiums and major and minor league ballparks throughout the United States and around the world. From Japan to Germany, Mexico to Missouri, KC Wolf has become a popular attraction year after year at sporting events, community activities, conventions, grand openings, parades, and numerous other events. One thing that sets KC Wolf apart from other mascots is the fact that he is also in high demand as a humorous and motivational speaker. KC Wolf is portrayed by Dan Meers, and averages more than 150 speaking engagements each year throughout the United States. What makes Dan truly special is that he is as equally entertaining out of his costume. He goes to work each day like many other men, dressed in a suit. The only difference is that instead of wearing a tie with his suit, he wears a tail.  Dan's work as KC Wolf and his experiences as a professional sports mascot have reinforced to him the philosophy that laughter and a cheerful heart are good medicine. He is also a firm believer that when you learn to think only of the best and work on for the best, you can start to expect the best! Dan speaks to audiences of all ages at schools, churches, businesses, banquets and many other gatherings. His enthusiasm, optimism, faith, and love for life are contagious and make him an inspiration to all those around him. Audiences remember Dan not only as KC Wolf but more as a man who inspired and encouraged them to live life to the fullest. 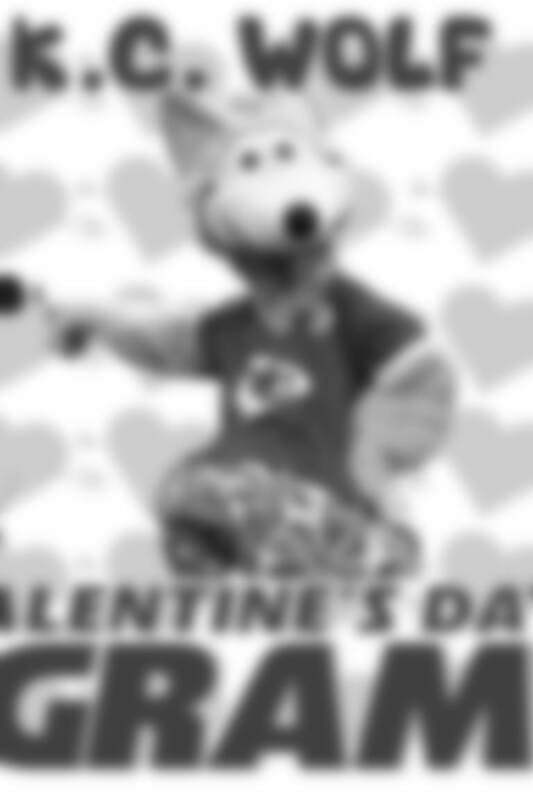 Looking for a way to surprise the Chiefs fan in your life for Valentine's Day? Whether it's your spouse, kids or sweetheart this is guaranteed to make a lasting memory. KC "Cupid" Wolf will once again be spreading love and laughter while making Valentine's Day deliveries this year.  KC Wolf will be available to make "surprise visits" on four different dates. Sunday, Feb. 12th, Monday, Feb. 13th, Tuesday, Feb 14th and Wednesday, Feb. 15th. For more information or to schedule a surprise visit for your child or sweetheart, call KC Wolf at (816) 920-4212 or email him at dmeers@chiefs.nfl.com. Orders must be received by February 11, 2019. Additional charge for deliveries made outside the KC Metro area. Don't delay - Limited number of deliveries available. Don’t be a Bully - Be a Buddy: Focuses on treating everyone with Respect and Kindness despite our differences. A-B-C of Success: Stresses the importance of your attitude, behavior and character. Do Your Best - Ace Your Test: Prepares students for state’s standardized assessments. Chiefs "Fuel Up to Play 60": Focuses on proper eating and exercise for a healthy lifestyle. Being a Winner in Life: Emphasizes self-esteem, hard work and saying NO to drugs. Read to Succeed: Encourages students to read and stresses the importance of learning. It’s been said that if you ask a man his occupation you will find out how he pays his bills, but if you ask a man his preoccupation then you will find out the passion of his life. KC Wolf has a rather unique occupation. For over 25 years he has paid his bills by working as the mascot of the Kansas City Chiefs. However, KC Wolf’s preoccupation, what he is truly passionate about in life is encouraging others to strive for the best in life and to enjoy it each and every step along the way. This program is designed to encourage and challenge audiences to live each day to the fullest by intentionally investing their lives and not just spending them. KC Wolf also offers a variety of programs for churches and faith based organizations. These programs center around his faith and the importance it plays in his life. KC Wolf offers these programs for all ages and each program is designed to entertain, challenge and encourage others to put their faith into action.